Need an Amazing Getaway? Try the Oregon Coast (because it is awesome). Canada Pharmacy Online > Blog > Need an Amazing Getaway? Try the Oregon Coast (because it is awesome). Tonya Martin is a professional publisher and owner of a small trade book publishing house from New Westminster, BC. Currently she worked as a freelance writer for Canadian internet drugstore. Ah, summer. It’s a time for adventure, relaxation, time with family, or time alone. 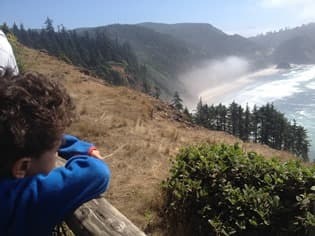 Whatever your summer vacation fantasy may be, you just might want to consider the Oregon Coast. Why? Well those of us who are originally from the East Coast may not always consider Oregon when it comes to summer holiday planning. Somehow Washington and California seem to overshadow Oregon. As a former East Coaster turned Pacific Northwesterner, the Oregon Coast still hadn’t really factored into my potential vacation plethora. That was until my family and I took a very short visit to Cannon Beach a couple of years ago, while visiting Portland. 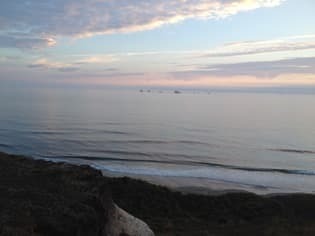 From the moment I stepped onto that vast, expansive, wondrous beach my thoughts on the Oregon Coast were forever changed. 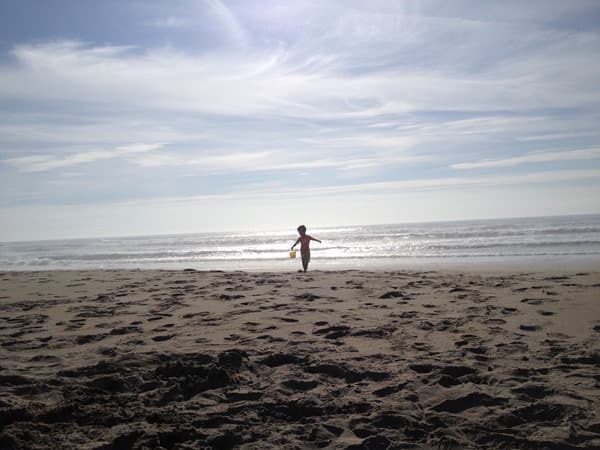 I’ve been on lots of beaches on few coasts, but this was very different…even in late December. This mesmerizing volcanic beach and its teeming-with-wildlife tide pools absolutely took my breath away. We even stumbled upon a sea newt that was very pretty and pretty poisonous we later discovered. 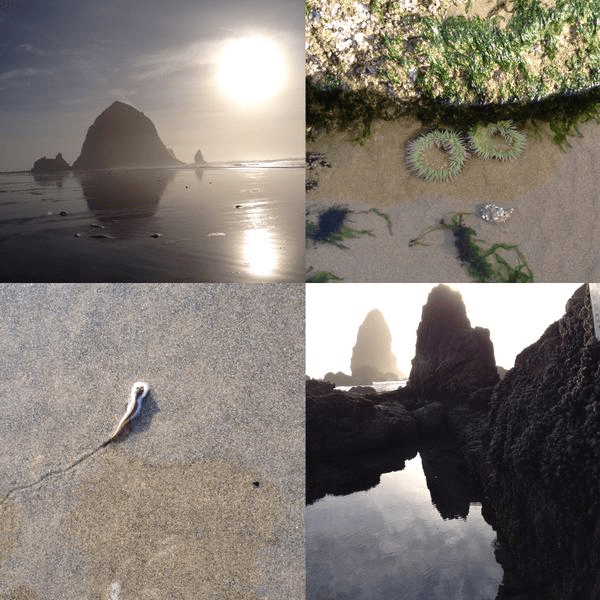 We were so impressed by Cannon Beach in the winter, that we three purchased an old, well-loved tent trailer and did some camping in two State Parks on the Oregon Coast that very summer. And you know what? We had an amazing time! But we barely found openings at the State Parks, because summers on the coast are quietly popular. While we were there, we did some state campsite tours, so that we had an idea of where we might want to stay during future summer camping extravaganzas (e.g the very next year). 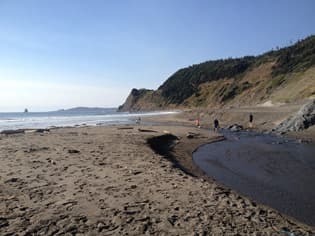 So, if you’re interested in beach-adjacent camping, whether tent, camper, or RV, please factor into your plans the Oregon Coast. This place is so very family, dog, and people friendly that once folks visit they keep coming back. And there’s not only the coast to consider: Oregon also has quite a few well-know wineries…some with kid-friendly accommodations, if you’re interested. So a wine tour is also a fantastic option. This year, we booked our late August spot in February, because we found an Oregon State campsite that has cabin rentals. We’d invited another family to join us, and they don’t have a camper, and weren’t as, let’s say super-excited, about spending cool coastal nights in a tent with three young kids. So we booked the cabin and the parking pad for the camper, which also had a full RV hook-up for electricity and water. 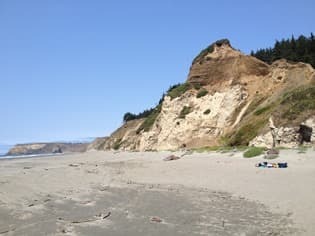 The site at Cape Blanco State Park definitely delivered. 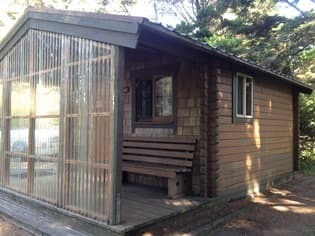 It was gorgeous and lush, the beach was a 10 minute walk away, and the cabin was dry, heated, and had electricity. It comfortably sleeps four adults (or two adults and three kids). We had a blast! You may want to keep in mind that temperatures on the Coast can vary very quickly. Cape Blanco is actually the most westerly you can get in the state of Oregon. It sits at the very end of a peninsula and can get very chilly at night, even in August. When the wind gusts it can be memorable. Please pack for cooler evenings (lots of fleece), and bring some rain gear. If you’re into local history, check out Hughes House, which is on the main road to the campsite. They’ve got a “living history" tour that is pretty cool. 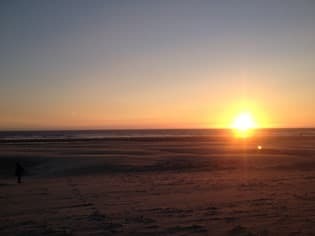 We also had the chance to camp at Nehalem Bay State Park, which was equally awesome. Lots of families, dogs, and horses (yes, horses…there is a nearby horse camp for those with equine friends). 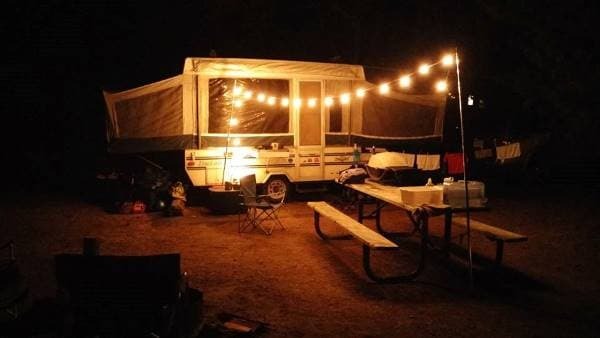 The campsites are great, and many have full RV hook-ups with electricity and water. 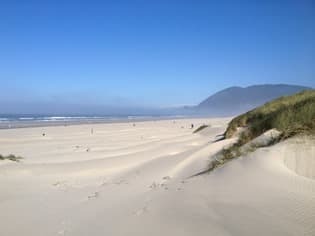 The miles of white sand and dunes on Nehalem Bay are just the beginning. Dogs are permitted off-leash, and you can bring your horse if you like. But please make it a point to stay for a sunset…or two. 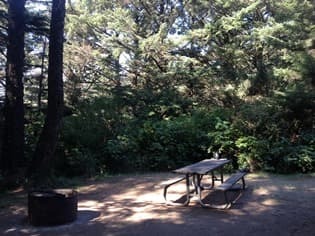 If you’re staying at Nehalem Bay State Park and need a break from camp food, visit Marzano’s Pizza Pie in Manzanita, which is a very short drive from the campsite. This was the best pizza outside of NYC. Ever. This is absolutely no-joke pizza. Our kid is still asking for a slice. So are we. We stayed here in 2014 and found the site to be just okay, as it backs onto a highway, which can be a bit loud. 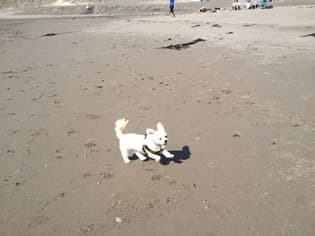 We came back for a day trip in 2015 because it is the warmest beach that we’ve visited on the coast, and it has lots of tide pools and rock formations for kids (and dogs) to explore. Bandon Beach: Beautiful, vast, quiet, awesome. Off-leash dogs permitted, horseback riding, and lots of surfing. 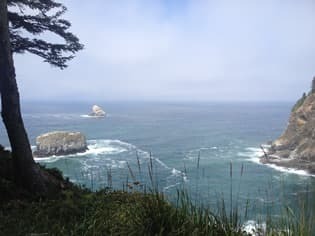 Cape Meares State Park: Check out Cape Meares for the scenic viewpoints, the Octopus Tree, and more! Cape Meares State Park. 2015.